Djokovic, Agut, Federer, Nadal, Nishikori, and Medvedev in the first week of 2019. Now that we have real winners and losers in actual, and not some fancy exhibition, tournaments, we can announce the official start of the 2019 tennis season. The first week of tennis, in 2019, brought a few surprises and shockers. The Big Three, despite injuries and losses, appear to be as entrenched as ever, and the younger generation isn’t making any earth-shattering and slam-winning breakthrough we expected. How did the Maestro perform at the start of the season? The biggest of the Big Three, Roger Federer opted for the fun-filled atmosphere of an exhibition rather than a real tournament to test his stamina and match-sharpness. He was undefeated in both singles and doubles and claimed the young scalps of Francis Tiafoe 6-4, 6-1, Alexander Zverev 6-4, 6-2, and Stefanos Tsitsipas 7-6 (5), 7-6(4) at the Hopman Cup. None of those wins, however, counted towards ATP rankings and were, therefore, short of the very best from either Roger or his opponents. 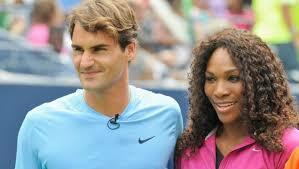 Roger has age against him and, even with all his talent, it’d be foolish to bet against age and time. Will Roger win the Australian Open? Your guess is as good as ours. Will Rafael Nadal be in shape for the Australian Open? Ankle surgery last November sidelined Rafael Nadal at the start of the 2019 season. He lost to Kevin Anderson at an exhibition event in Doha and then pulled out of his first real tournament of the season at Brisbane. He was bageled by Nick Kyrgios and lost 4-0, 3-4(3), 5-3 at a Fast4 exhibition event in Sydney. Nadal claims to be fit and in shape for the Australian Open. We, and many others, however, have doubts about the state of his ankle and recurring knee pain. What’s up with Novak Djokovic? Even though Roberto Bautista Agut is an accomplished player, the loss to him, in the Doha semi-finals, must have stung Novak Djokovic particularly hard. Novak failed to re-establish the aura-of-invincibility because of the loss. After losing the last two finals, Novak wanted to win the Doha title. The loss to Bautista will help the vultures get even bolder. They all know that nothing out-of-the-ordinary can happen from Djokovic’s end of the court, and if they can hit big and cut down the unforced, they’ll then have as good a shot as Alexander Zverev, who schooled Novak at the year-end ATP Finals in 2018. Djokovic will find it increasingly difficult to beat the consistent big-hitters. Novak Djokovic, we believe, is a bigger champion than Roger and Rafa because he has achieved the dizzying heights without a WMD like Rafa’s and Roger’s forehands or Roger’s service and aggression. Luckily, for him, he is playing in an era when coming to the net has been rendered ineffective by the slow courts, including at the Wimbledon. He lacks a major weapon and depends heavily on his fitness, grinding, and retrieving prowess, and the ability to put one more ball back into play. Unlike Rafa, who rides his top-spin heavy forehand all the way to the French Open trophy even today, Novak has no such unique and powerful weapons. 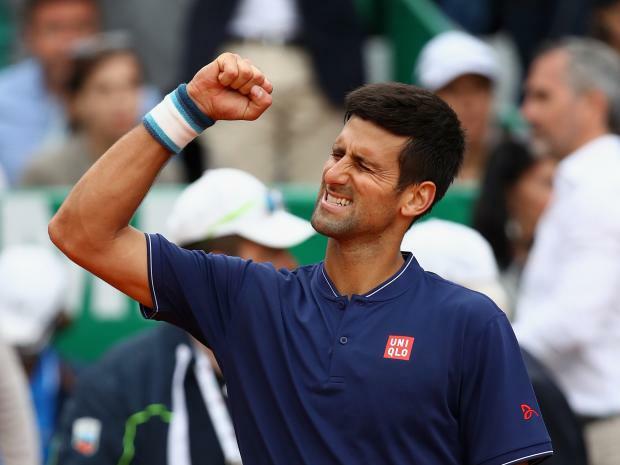 Most of Novak’s strengths can be rendered ineffective by a consistent and hard-hitting player. It’d get increasingly difficult for him to win tough matches, against the big-hitters, with just his grinding ability and champion’s mentality. Kei Nishikori is back in the Winners’ Circle. 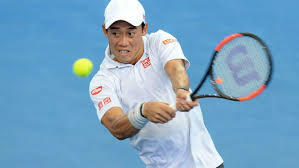 Kei Nishikori, with a 6-4, 3-6, 6-2 win over Daniil Medvedev in Brisbane finals, stepped back into the winners’ circle after a two year’s hiatus. He had last won Memphis in 2016. Kei has been prone to injuries, throughout his career, and it’d be nice to see him injury free in 2019. Nishikori is an established giant slayer and has beaten Federer, Nadal, Djokovic, and Murray in the past. If Kei can avoid the lengthy five sets and reach the quarters, he may even make the finals of the Australian Open this year. Daniil Medvedev did well, until the final, in Brisbane. Daniil Medvedev has, with his performance in Brisbane, established himself as a potential threat, to just about anyone, in the Australian Open 2019. Medvedev defeated Andy Murray, Milos Raonic, and Jo-Wilfried Tsonga on the way to the finals. Not many will want to see Medvedev on their side of the draw in the Australian Open. Roberto Bautista Agut produced the first shocker of 2019! Roberto Bautista Agut gave Novak Djokovic his first beating of the season in the finals of Doha last Sunday. The 30-year-old won the ninth title of his career in style, after dispatching Stan Wawrinka, Novak Djokovic, and Thomas Berdych in succession. His win over Djokovic was impressive and he appeared steadier at the baseline and in longer rallies. The match was a usual battle of the baseline with neither keen on approaching the net to close points. 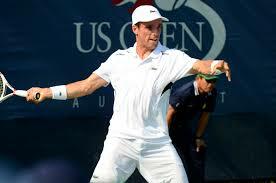 Roberto employed his forehand effectively to create openings, draw errors from Novak, and end points. This match is another case in point why Novak either needs to develop a weapon or find ways to finish points sooner. He is a champion, but how long can he continue to win by grinding? 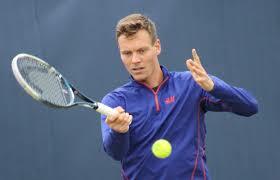 Tomas Berdych is alive and kicking at 33. Tomas Berdych came back to life in Doha and played well to reach the finals. He is a two-time semi-finalist at the Australian Open and, with a favorable draw and some luck, can go on a run to even make the final this year. We, however, do not expect Berdych to win the Australian Open at 33. ← Will the Big Three continue to dominate in 2019?